B. Thomas (Arlington, Texas, United States) on 14 June 2017 in People & Portrait. Un numéro de gymnaste très original ! Rat and acrobat sitting on a rope. Great composition. Une très belle photo de scène ! Remember you the world press photo2015 prize. See the monkey's scary face. WHat a fabulous action portrait! She demonstrates an impressive slack rope rest with her favorite pet. 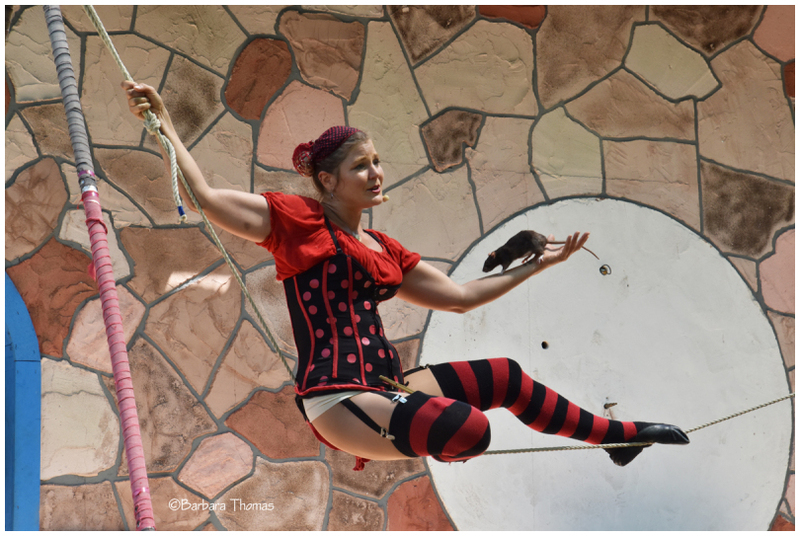 Super shot of the performer and her rat! Great capture of this performer in action!! I admire people who can do this. Not for me though. such beautiful composition, timing, focus, colors & lights!